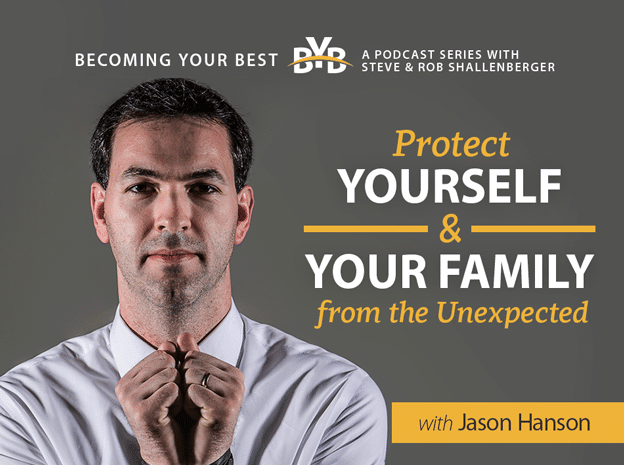 Home » Podcasts & Blog » Jason Hanson | Protect YOURSELF and YOUR FAMILY from the unexpected! Jason Hanson | Protect YOURSELF and YOUR FAMILY from the unexpected! You might recognize today’s guest from Shark Tank or The Today Show. My guest today is not only a cool guy but a very close personal friend, Jason Hanson. As a former CIA agent, Jason followed his entrepreneurial tendencies to create his own company Spy Escape and Evasion. Today he helps everyday people prepare for the both the extraordinary and the all too common tragedies that pose a threat to our personal safety.